Local Lori Savit won first place in the San Juan Capistrano Dressage Society Show riding Atticus in the Training 1 class on Friday, June 19. Atticus is owned by Maureen Hall. 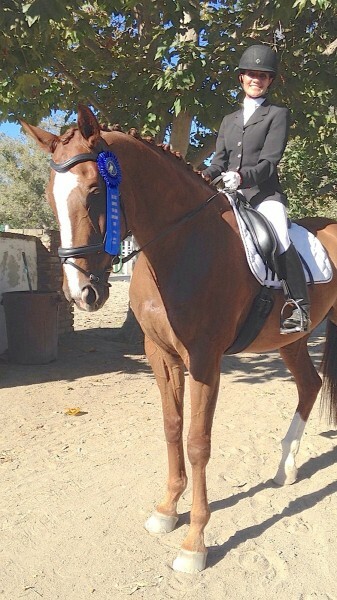 Savit began training in dressage in 2013 after years as an occasional trail rider. She founded Laguna Beach Horse Lovers, who share her passion for horses. “We’re unlikely winners; the horse without papers and the gal who hasn’t ridden long and doesn’t own a horse!” Savit admitted.